The scientific achievements of the Victorian era are remarkable in human history. The period from 1837 to 1901 is regarded as an era of prosperity and knowledge. The spread of education and affluence encouraged innovation, experimentation and scientific ideas. Developments took place in almost all the areas like transportation, communication, trade and so on. We know that the pre-Victorian period and the beginning of 1800s was not free from diseases. Maternal mortality was on the rise and diseases like typhoid, smallpox, tuberculosis and epidemics began to spread rapidly and violently taking away many lives. Therefore, many of the Victorian inventions are regarding health and hygiene. Medical science was growing by leaps and bounds. As explained earlier, as a result of the expansion in the field of medicine, quality of life improved to a great extent. Anesthesia is regarded as a vital contribution to medical science. Joseph Lister developed practical antiseptic in 1865. It was in 1846 that William Thomas Green Morton patented an effective anesthesia. In 1796 was conducted the first successful vaccination in history against the deadly disease of smallpox by Edward Jenner. A person once affected with cowpox would never get smallpox. Smallpox was a dangerous disease as we know whereas cowpox was a mild disease persisting only for a few days. Keeping this knowledge in mind, Jenner developed a cowpox vaccine against smallpox. One of the most significant inventions in the area of communication was the invention of the telegraph in 1837. The first commercial electrical telegraph was patented in the United Kingdom Sir William Fothergill Cooke and Charles Wheatstone. This indeed revolutionised the communication systems of the country. The telephone, the most vibrant medium of communication today was discovered by Alexander Graham Bell. 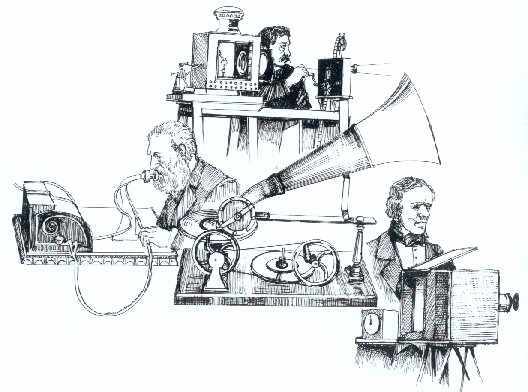 With the invention of the telephone, telegraphs became obsolete as the telephone was an easier, cheaper medium of communication that the former. 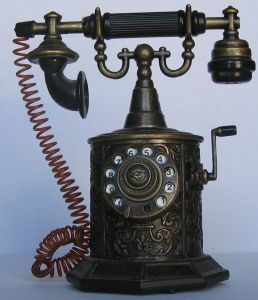 The invention of the telephone was one of the most powerful creations of the Victorian period. The first cars appeared during this period which could be afforded only by the wealthy class. James Starley is credited for the invention of the bicycle. The two wheels of the bicycle were not alike in their size, the front one was huge and the other, small. Internal combustion engine was an important industrial invention. It was patented by Samuel Brown in 1832. It replaced animal and human power saving time and energy. The rotary sewing machine of Isaac Merritt singer made it possible for people to sew their own clothing at ease from their homes. Thomas Alva Edison invented the electric bulb in the Victorian period. The peculiarities of the bulb were the higher vacuum within the glass sphere, a brighter and durable filament and greater resistance. He paved the ground for the development of advanced electric bulbs. The railway was modernised with the coming of electric trains. Private companies began to build railways. The Penny Black Stamp was discovered in 1840. It was a one penny stamp with Queen Victoria’s image on it. It was the world’s first adhesive stamp. In 1885 an American naturalist, Edward Morris Brigham, announced the discovery – made in 1881. This bird lived on the banks of the Amazon River with the most unusual characteristic being its four feet. Note that Charles Darwin’s “the Origin of Species” was published much before in 1859. A tropical plant termed the phytolacca electrica was discovered in 1885 on the torrid plain of Hindustan. While in full bloom, this extraordinary plant generated a strong current of electricity that flowed all the way through it, from root to tip. It killed birds and insects that came into contact, but most insects had learned to keep away. If the stem of the plant or a twig was snapped by hand, an electric shock was felt, with enough shock power for a man to stagger backward. Magnetic compasses were reportedly affected by the plant’s power right up to 20 feet. Interestingly, the electric current was said to vary throughout the day. Strongest at about 2pm and most feeble during the night. Rain and thunderstorms would make the plant dormant. The numbing property was discovered in 1884, accidently by a German medical student. Hydrochlorate of cocaine was a known but non-used substance. He accidentally splashed some of it in his eye and the student was surprised to find that it resulting his eyeball becoming insensitive to the touch. An oculist in New York later performed cataract surgery on the eye of a patient without causing her any pain. In the 19th century, hundreds of well-documented instances have been chronicled. Being rare, no photographs of the lightning existed until 17 July 1891. Assuming it is genuine, the first ever photograph of ball lightning was captured. It was only after several decades that Chinese scientists captured the phenomenon on film during a lightning storm in 2012. Mr Dunn took the picture in 1891 from a window in Newcastle-on-Tyne, which overlooked the river. A thunderstorm which raged overhead caused a great ball of fire to appeared suddenly over the river. 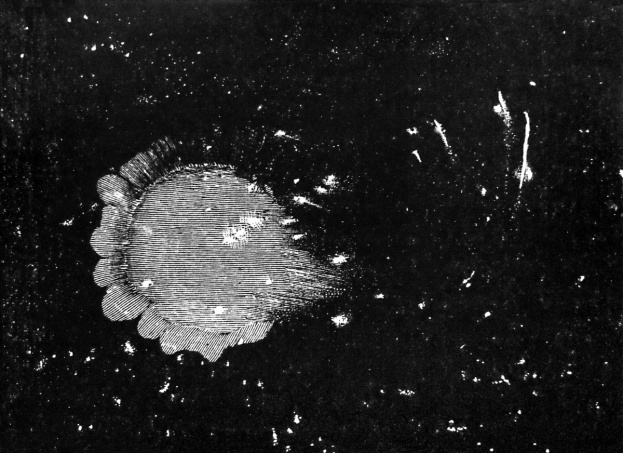 It was about 2ft in diameter and before it vanished, Mr. Dunn managed to expose a plate in his camera. The ancient legend of Atlantis, which is a fictional island mentioned within an allegory in Plato’s works Timaeus and Critias, was revisited by men of the late 19th century, interested in learning its true location. Zoologist Charles Émile Blanchard was of the opinion that at some point, the region of Labrador in Canada was connected to Europe. It was believed to be through a now subterranean link of land that ran from Scotland, through the Orkney and Faroe Islands, to Iceland and Greenland. An investigation suggested that the sea over this supposed tract of land was relatively shallow. And the islands in questions were therefore, Blanchard deduced, vestiges of the lost land. The fact that European animals and plants existed in America alongside species that were atypical to the western continent supported this theory. Some examples were anemones, violets, roses, orchids and lilies. Some beetles, spiders and other insects were also found on both sides of the Atlantic. The river perch, which never left fresh water was also common. So the question arose as to how it left the salty Atlantic ocean if the two continents were never connected?